Last May, Finitec inc. signed a partnership agreement with Canac. Finitec being a wood flooring solutions manufacturer for almost 25 years joined forces with Canac to promote the use of safe and healthy products in homes all around Quebec. Canac will offer its team additional expertise in the floor finishing department. The Finitec team, based on the south shore of Quebec, is available for the Canac’s employees for recurring training; it will share its expertise and its experience with them. Having shared values and both being family companies, they wish to simplify the floor restoration process which seems very long and difficult for consumers. With the Finitec complete floor restoration system, Canac employees can offer their clients a simple, odorless and durable solution that is accessible and affordable. Home owners can now restore their floor themselves. 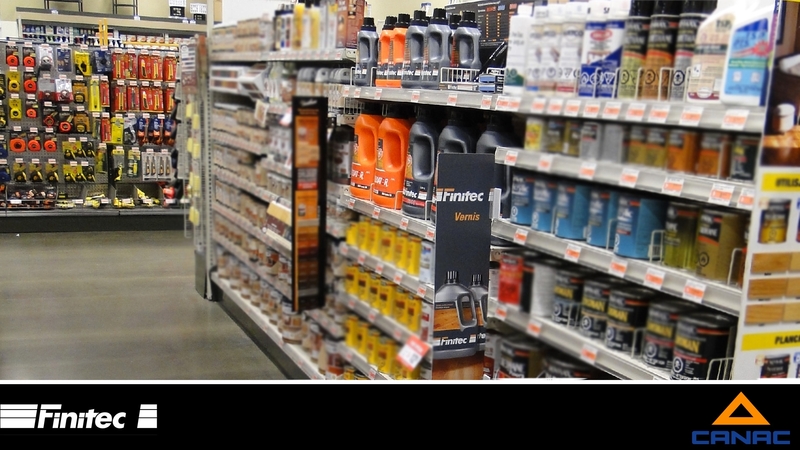 Canac, which is the first independent hardware and construction material retail line from the Quebec region, counts 25 stores in the province of Quebec. With its constantly growing customer base and its customized service, Canac is a reference in the hardware industry. 2018: Finitec Canada will celebrate its 25th anniversary.